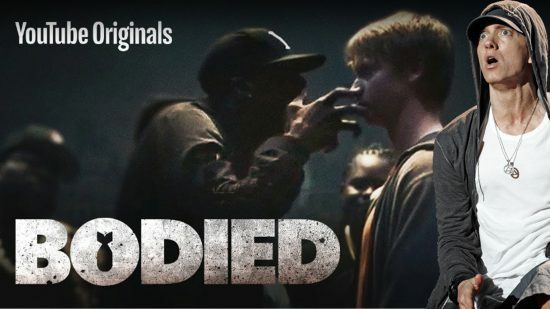 The premiere of the long-awaited film “Bodied”, which was produced by Eminem, has just taken place. Listen to the snippet & Watch “Bodied”. The film was released on its official channel and is available only to subscribers of the YouTube Premium service. In the film there is a snippet of the new track, which will be included in the album soundtrack to the film. — Eminem Pro (@Eminem_Pro) 28 ноября 2018 г.